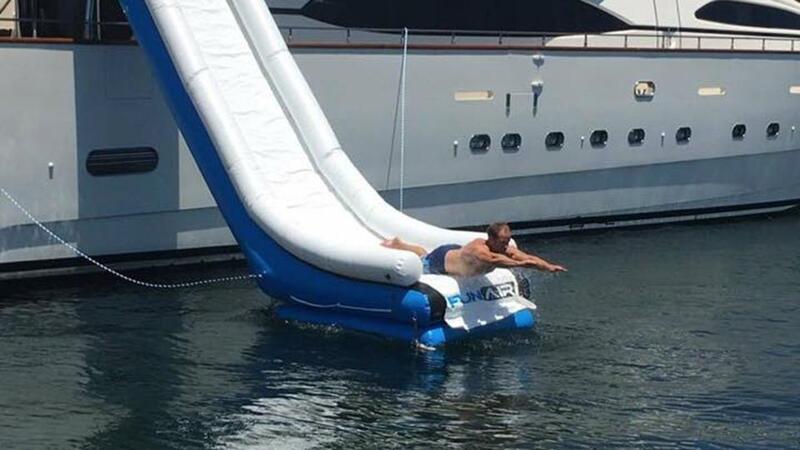 A luxury yacht charter is just not the same without a yacht water slide. The gargantuan version of what used to belong in a children’s park, has been one of the top trends in inflatable yacht toys. 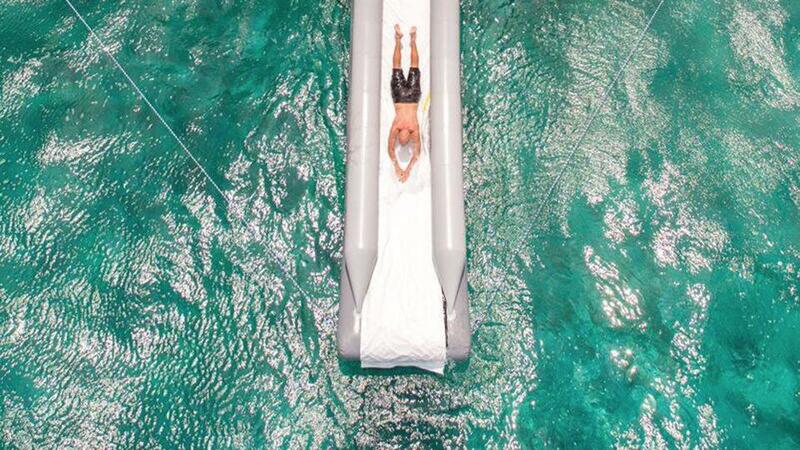 Not just for kids, the yacht water slide promises adrenaline-charged fun on and into the water. 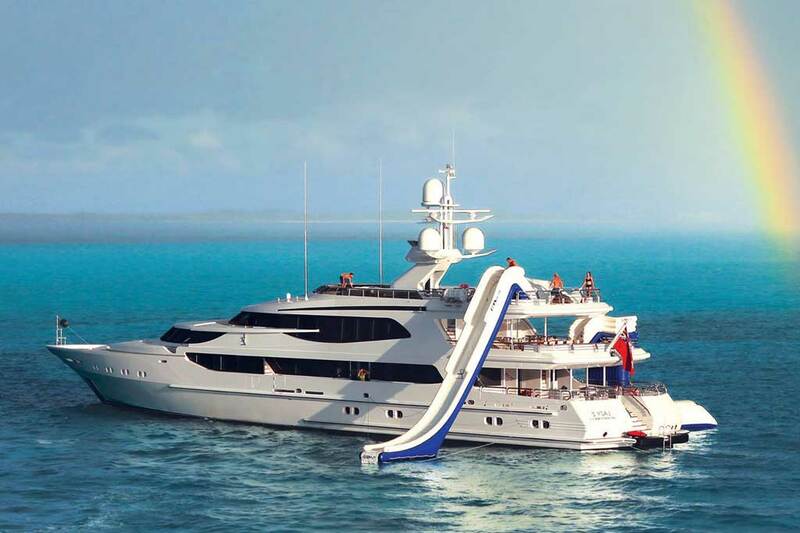 Conveniently stowed aboard to conserve precious space, the yacht water slide is easily inflatable and can change the dynamics of a yacht charter. 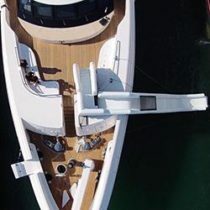 Some companies offer custom yacht water slides to fit the specifications of the yacht, as they are draped over the side of the vessel; preciseness is key to safety. 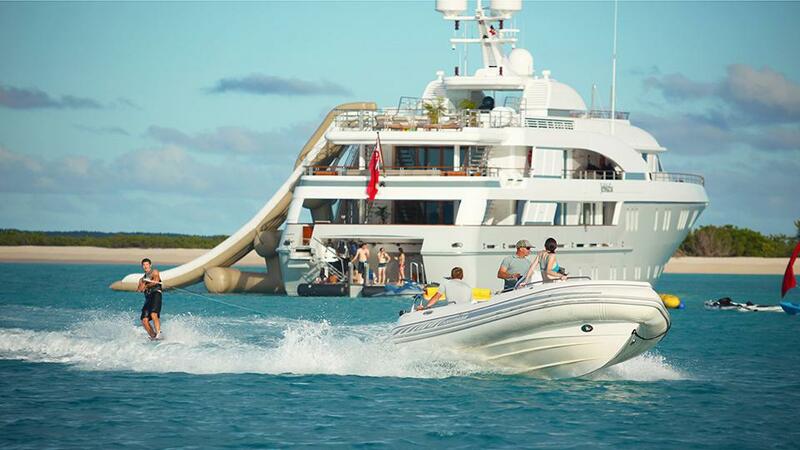 Some yacht water slides are available as part of an entire inflatable water park that rests close by the yacht. A world of fun on its own, sliding, jumping, and diving into the ocean with the stunning backdrop of a superyacht is one of the most thrilling experiences a charter can offer. A select few yacht water slides allow for the user to crouch on a board while speeding down into the water, offering some great momentum. 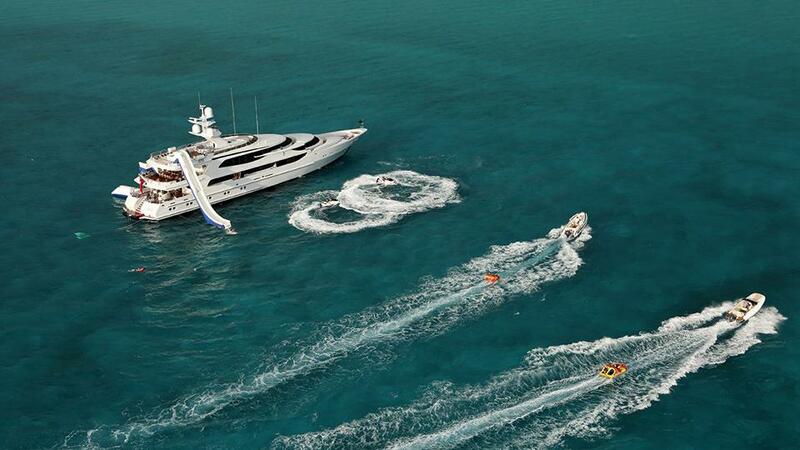 There is typically one brave yacht charter guest who thrives on pushing the boundaries of fun. 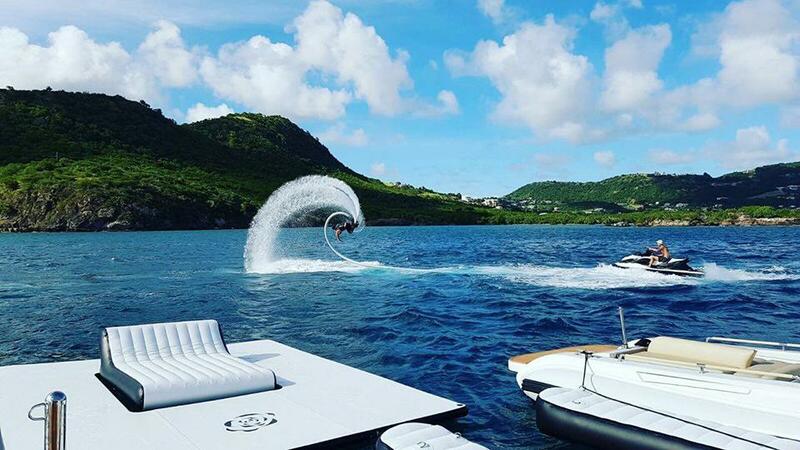 Safe to use, and effective for ramping up an excursion on the water, a yacht water slide can be complemented by other yacht toys such as an inflatable water trampoline, stunning custom yacht tenders, or even the Triton submarine that lets you experience life below the waterline. Merle Wood & Associates’ brokers and charter specialists have the integral know-how of the industry, as they have been entrenched in yachting for decades. Many since a young age, often as former yacht captains or crew. Because of this, they have the best information on yachts around the world. Discover more through one of its experts, who can simply meet all of your yacht and charter needs.